The USDA established a new grading standard for maple syrup in 2015 as part of a unified international standard. Like the old ones, the new grades are meant to help cooks and maple lovers identify the flavor profile they prefer. Thus, they are based on color and flavor, not quality. As a rule, the darker the maple syrup color, the more robust the flavor. This maple syrup has a golden hue and smooth maple flavor. Its unique and subtle flavor is popular for table syrup. While individual batches will vary in color due to its handcrafted nature,Grade A Amber Rich usually falls somewhere between Grade A Light Amber and Medium Amber in the old grading system. Our Grade A Robust Dark has a strong maple color and hearty maple flavor. Some people prefer Grade A Robust Dark syrup for cooking and for the Master Cleanse Lemonade Diet. 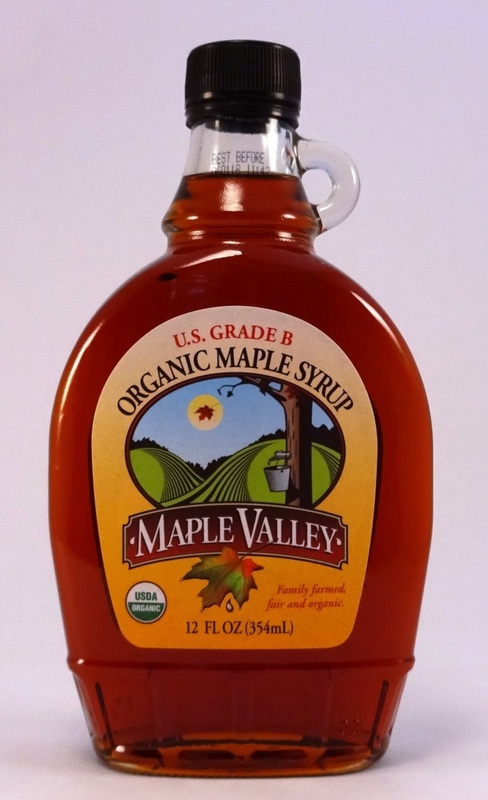 Grade A Maple Syrup is darker in color and provides a richer, more distinct maple flavor. Although Maple Syrup is similar to sugar in regards to calories, it contains significant amounts of potassium, calcium, zinc, and manganese. 15x more calcium compared to honey. Scientists have found that maple syrup's natural phenols-potentially beneficial antioxidant compounds-inhibit two carbohydrate-hydrolyzing enzymes that are relevant to type 2 diabetes. Great for baking, marinades or as pancake syrup! Unopened syrup can be stored in a cool, dry place, but once opened it is recommended to be stored in the refrigerator. 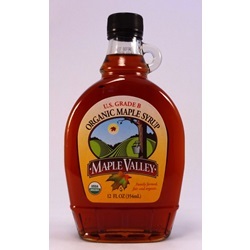 This maple syrup is 100% pure, free from artificial flavors, preservatives, or dyes. Sustainably harvested from maple trees 40 years old and older, from pesticide-free tree farms.